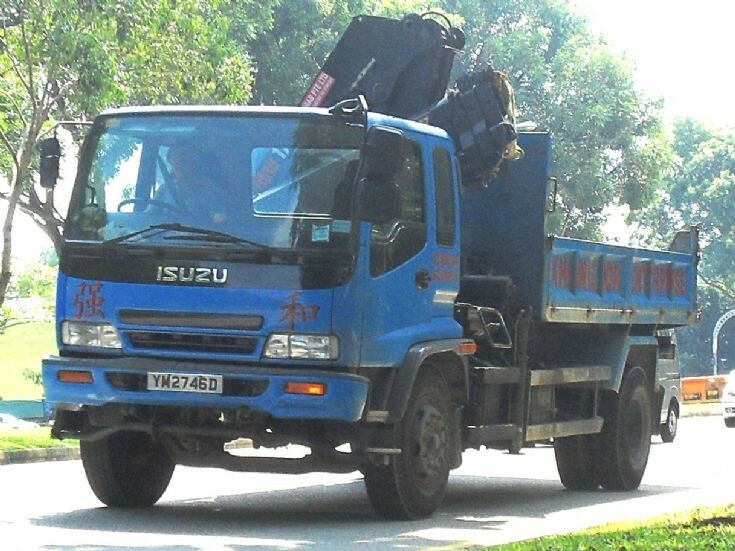 This medium duty Isuzu Forward FTR series dump truck which comes with it a Hiab hoisting crane from Khiang Hor Enterprise is spotted here passing by at Yishun New Town in Singapore. The company of this truck is a supplier of building materials for the construction industry such as cement products, sand, gravel and construction equipment etc. It also owns an Isuzu Giga model dump truck as can be seen from picture #9201. Photo taken in Apr 2010.